William Patrick Fitzgerald was born in Sydney on 26 July 1864, son of William and Ellen Fitzgerald. In 1899 he married Matilda Louise Byrne at Sydney and had two sons and a daughter. He died at Randwick on 26 February 1938. William Fitzgerald was educated at the Marist Brothers School at Church Hill. He became a grocer and merchant. He was actively involved in Labor politics from about 1898. 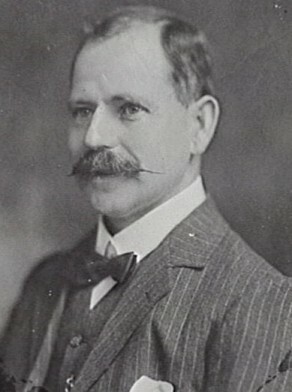 William Fitzgerald was elected Alderman for Gipps Ward from 1 December 1904 until 31 December 1927 when the Council was abolished for corruption. He was a member of the Works Committee, 1905-19, the Health and By-Laws Committee, 1907-17 and 1918-24 and its vice-chairman in 1918-19. In 1907 he served on the Fruit and Vegetable Markets Special Committee and was a member of the Finance Committee, 1911-19 and 1921-27 and the Electricity Supply Committee, 1925-1927. He was the Council member on the Board of Water Supply and Sewerage, 1918-20. Fitzgerald was Lord Mayor in 1920.